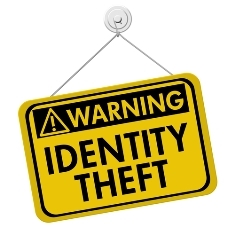 What to Do If You Are the Victim of Identity Theft | The Consumer Law Group, P.C. While you may not be physically assaulted as a victim of identity theft, many people feel as though they have been attacked when their identity is stolen. Thieves may go through your garbage, hack into your online accounts, or email you directly “phishing” for personal information. Once they have this information, they may drain your bank accounts, apply for credit cards in your name, file your tax return and collect the refund, or even seek medical care under your insurance. These actions are legitimate violations of your privacy and security and it is important that you act fast to control the damage. Place an initial fraud alert. There are three credit reporting agencies that keep records of your credit history. Your first step should be to contact any one of these companies and ask them to put an initial fraud alert on your credit report. The company you notified must report the fraud alert to the other two companies. Having this alert on your credit reports will make it harder for an identity thief to open lines of credit in your name. Order a credit report. You may already know that you are entitled to a free credit report from each of the credit reporting agencies every year. When you suspect identity theft, you should request a report as soon as possible to see if any unauthorized activity has taken place. When you place an initial fraud alert, you are entitled to a free credit report from each of the three agencies even if you have already gotten a free report this year. Create an identity theft report. In order to take any action to repair the damage done by the thief, you will need an identity theft report. This report consists of an Identity Theft Affidavit, which you will get once you report the theft to the Federal Trade Commission, and an official police report, which you will get when report the theft to your local police precinct. Once you have this report, you can use it to get fraudulent information removed from your credit report and to stop companies from attempting to collect unauthorized debt from you. Taking these three steps the day you discover that someone has stolen your identity could prevent further damage to your credit, loss of your assets, and the ongoing nightmare that identity theft can become. Download a copy of the Federal Trade Commission’s guide to identity theft to help you track your progress towards overcoming this violation.